The angry trolls are back! Eight years after «Trollmarsj», the Norwegian folk black metal pack returns with a new album in November, a new contract with Mighty Music and a renewed thirst for blood. 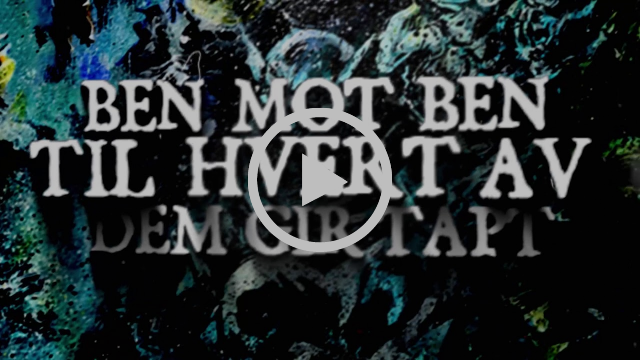 Hear the new song «Styggedommen Vaakner» in the lyric video below or through one of our official partners premiering the video today. Faanefjell was formed in 2009 by Kim Arly Karlsen (ex-guitar) and Benjamin Jørgensen (ex-vocal) in a smoke-filled basement after drinking mjød and making three songs about some angry trolls. The songs got the attention of Mayhem Music and one year after the band joined forces with Kjell “Draagyn” (guitar), David “Berserk” (Drums), Marcus “Beist” (bass) to release “Trollmarsj” (2010). «Trollmarsj», the debut album of 2010, tells the story of two angry trolls setting out on a journey to gather their allies and drive humanity out of their ancient homeland. Faanefjell is the musical embodiment of an era where two countries were one kingdom. The human civilization had developed electrical lightning and dynamite to once and for all conquer the Scandinavian forests and mountains and drive the Trolls further into oblivion. 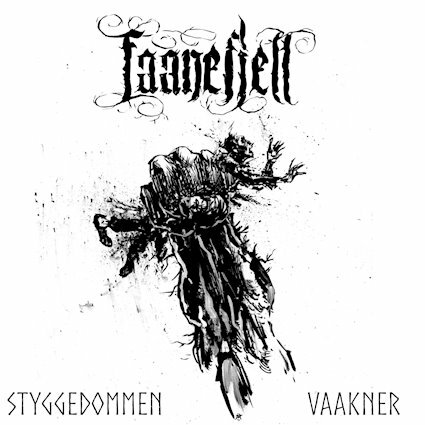 Faanefjell uses lyrics deeply inspired by Scandinavian folklore mixed in with symphonic black metal. But make no mistake – there is no princess in the tower or happily ever after in the realm of Faanefjell. Only shadows, trolls and songs long forgotten. The band has since its creation proven itself to be a strong live-band with full out troll-costumes, glowing yellow eyes and lots of interaction with the audience. “The atmosphere was brutal and the constant moshpits in front of the small stage testified that Faanefjell was among the audience favorites.” – Metalized review of metal Magic Festival. Faanefjeld has played most of the major Norwegian metal-festivals, Wacken Open Air (2012), In Flammen Open Air (2018), countless club-gigs in Europe and supported the legendary Nargaroth on their EU tour in 2017. After five years Benjamin (Syrtroll) and Kim (Grimtroll) parted ways with Faanefjell to pursue other things in life. The rest of the band knew just who to call and soon after Dag Haugland (vocal) and Petter Sjödin (guitar) was soldered into the lineup. The upcoming album «Dovrefall» builds on the “Trollmarsj” universe and tells the tale of a kingdom in war, the trolls against the humans. As the tale gets darker the music follows and presents the listener with a more brutal and darker sound.«Dovrefall» will be out in November 9th via Mighty Music.